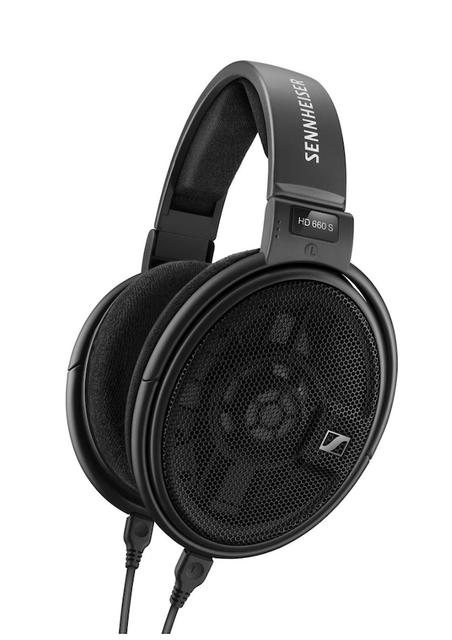 I'll post some impressions on the excellent Sennheiser HD650s here if anyone is interested as they break in a bit. In the mean time, for the price, I am impressed with the quality packaging/box, the 1/4 to 3.5mm quality adapter that comes with them and Sennheiser's overall dedication to authenticity and quality. Evidently there are quite a few FAKE headphones out there these days. I don't know which brands are targets for this disgusting practice but if you buy a pair of Sennheiser headphones, you can go to http://qr-sennheiser.com and check their authenticity. There is a holographic sticker on the box with a unique code. By inputting the ID of your purchased headphones, the Sennheiser site matches the ID with what is supposed to be on that hologram. Of course having purchased through Amazon, I was not in the least bit worried and of course the Sennheiser website confirmed it is an authentic pair. Looking good Serge ! I see a pair of Magnepan's MGIII's in your future and of course if you wanted you could send the crossover back to Magnepan and get a update since its enclosed in separate boxes. Comparing the frequency response of HD600 to HD650 reveals where and what the difference between the two may be. Since I am very familiar with the HD600 over the years that I have owned and enjoyed them, the HD650 reveals a different sound right out of the box. Unlikely at this point David. The room is not good for Maggies. Not enough space as they need ROOOOM to breathe properly. Putting them upstairs is not practical for me as I'm having fun with my headpones any time of day or night without disturbing anyone else. Listening sessions that sometimes extend to 2 am are liberating. Comparing the Frequency vs Impedance graph reveals that the HD650 impedance in the bottom octaves is a bit more solid state amp friendly. Both the Asgard 2 and the Bryston BHA-1 are more than capable of driving either but the HD650 has a firmer grip on the bottom octaves which is confirmed by listening and sonic signature of both. What the HD600 leaves on the table in terms of the bottom octaves, it more than compensates with outstanding bass resolution. The HD650 obviously need more break in time to loosen up a bit. Needless to say both the HD600 and HD650 with their rather tough impedance load are a challenge to drive properly with the typical iPhone, iPad or similar use. Not that you can't enjoy them that way but you will not get the full spectrum of dynamic contrast and sonic beauty. Need a good SS amp like the Class A Asgard 2 or similar. Better yet, Tubes that can drive these 300 ohm headphones and like their higher impedance. Higher impedance loads are hungry for voltage and the iPhone with it's 1.5v output is no match for the 10.9V Bryston BHA-1 capability at high gain. Serge, I got the HD650s for my 40th birthday from my wife. She thought: I'll be safe buying the most expensive ones. They are fantastic, but I think I haven't squeezed out the last bit out of them, as I'm using them through the headphone output of my Marantz processor. I'm really interested in the Schiit amps, but fear a bit the customs (I've ordered stuff in the US already, and had to pay extra taxes - Ivan is much smarter in this aspect!). 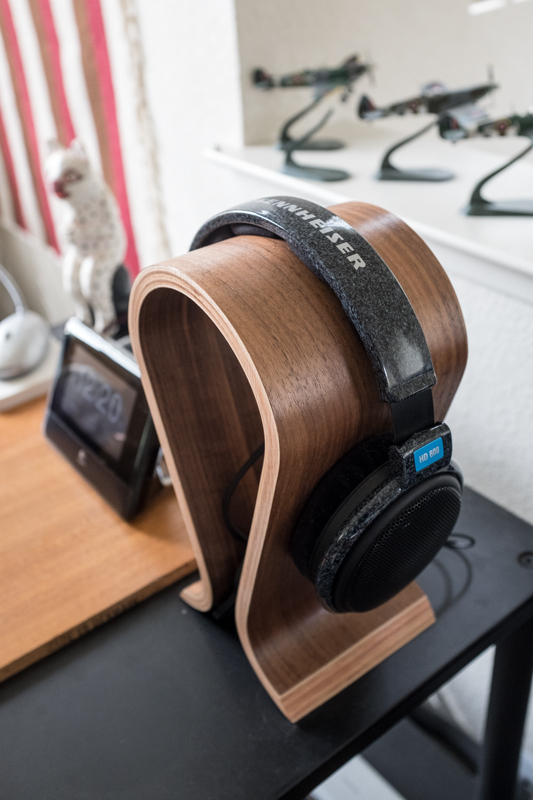 That headphone stand looks familiar, as do the headphones! Bart, Schiit has a Schiit Audio Europe site; just do a search..they are based in The Netherlands. Asgard 2 is €279. Last edited by Puma Cat; 10-29-2017 at 03:43 PM.